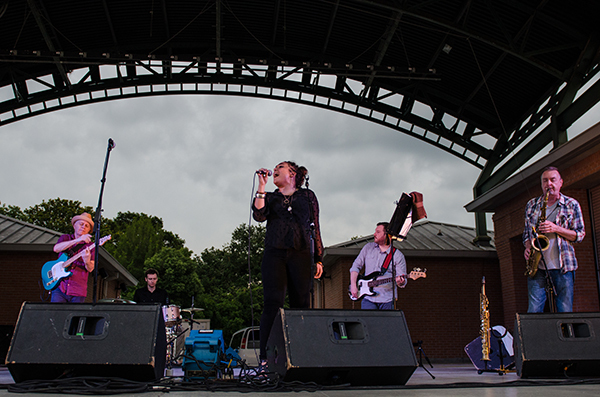 Now a professional musician in her own right, Marcella wowed audiences in her hometown of Lafayette, La., at the Levitt AMP Music Series earlier this summer. And in the coming week, she will play two more Levitt stages with her band, Marcella and Her Lovers: Levitt Shell on September 13 and the Levitt AMP Cleveland Music Series on September 16. As a teenager, Marcella once had dinner with Bob Dylan. She’s also played piano with Fats Domino and one time found David Hidalgo (of Los Lobos) in her kitchen, singing with her father. She taught herself to play the accordion in college. A present from her dad, the instrument helped her with homesickness while attending Memphis College of Art. She also plays piano, guitar, mandolin and drums. Marcella appeared on her father’s GRAMMY-winning 2013 album Dockside Sessions. Written by longtime Bob Dylan drummer George Receli in English and translated into Creole French by her grandfather, “Ava Magnolia” features Marcella on lead vocals. Her music is influenced by artists as diverse as Nina Simone, A Tribe Called Quest, Chrissie Hynde, Fela Kuti and Talking Heads. She credits her mother, Terrance’s wife and business manager Cynthia Simien, with exposing both her and her dad to different types of music. Come experience Marcella and Her Lovers’ swampy mix of zydeco, soul, roots and more this Sunday at Levitt Shell. The free show begins at 7 p.m.
And for folks in Arlington, Bethlehem, Charlottesville, Cleveland, Los Angeles, Pasadena or Trenton, check out the other free concerts happening this weekend! Be sure to check your local Levitt for the latest concert info, including updates due to weather.